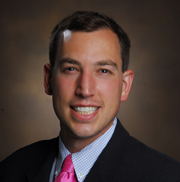 Jesse Ehrenfeld, M.D., MPH, associate professor of Anesthesiology, Biomedical Informatics, Surgery and Health Policy at Vanderbilt, was recently named to receive the Massachusetts Medical Society’s 2015 LGBT Health Award. The honor recognizes an individual who has made outstanding contributions to LGBT health. At Vanderbilt, Ehrenfeld is co-director of the Vanderbilt Program for LGBTI Health and consultant to the associate dean of Diversity on LGBTI issues. He serves as the director of research for the Vanderbilt Anesthesiology and Perioperative Informatics Research Division (VAPIR) and director of research for the Boston-based Institute for Safety in Office-Based Surgery. He divides his time among clinical practice, teaching and research. Ehrenfeld will receive the award during the medical society’s October meeting.